Khonso Brewing Company (Khonso) fuses different beer styles together to create a unique beer experience. 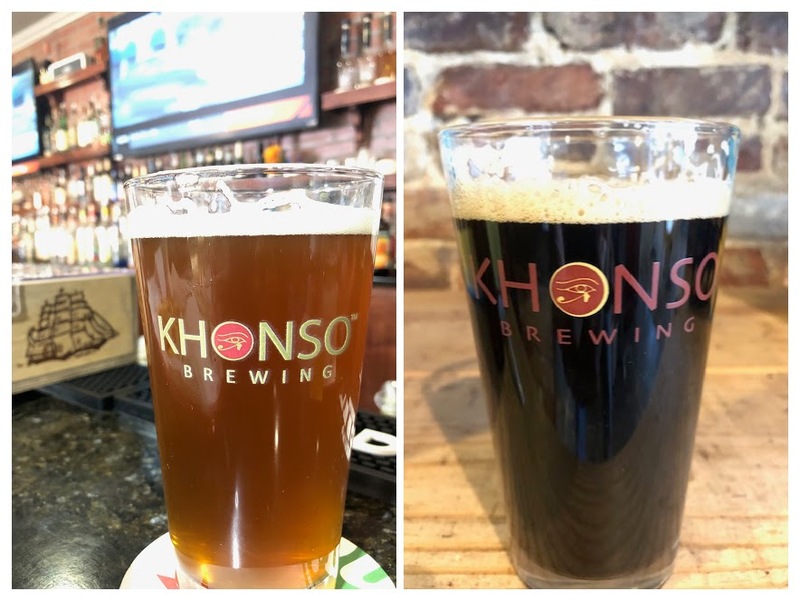 Khonso’s eclectic beer recipes have a unique taste and vibe that comes from the blending of different grains, flavors, and yeasts to create fresh styles. Khonso beer is “An unforgettable escape from the ordinary”, also known as The Khonso Experience. Highlighted below are four signature beers that will be brewed during our contract brewing period at Left Nut Brewing in Gainesville, Georgia. Standing Peachtree was crafted to honor the spirit of the original settlement that would grow to become Atlanta. This pale style ale is brewed with Amarillo hops, barley, wheat, cardamom and peaches (Georgia peaches when available). It is a fusion of different styles with bold flavors and complexity for everyone to enjoy. Khonso Brewing crafted Pullman Yard to honor the spirit that opened doors for so many as railcar workers in Atlanta. This Porter Style Ale is a fusion of spices and herbs that emphasizes flavor and complexity. Single hopped with Perle and brewed with a blend of star anise, cinnamon, Szechuan pepper, and other spices Pullman Yard stands out in a crowd.